The Dodge Demon ad. Campaign has held the first place for the second week as the Most Engaging Auto TV Ads. according to iSpot.tv https://www.ispot.tv/. The ad. campaign has slipped from 51% to 38.6%, it’s still topped other auto brands. 38.56% Digital Share of Voice, 76K Earned Online Views. The complete campaign for the Dodge Challenger SRT Demon came in above the likes of Mazda at number two with its 17 CX-5 ad. and besting Kia with its environmentally friendly commercials launched at the Super Bowl. 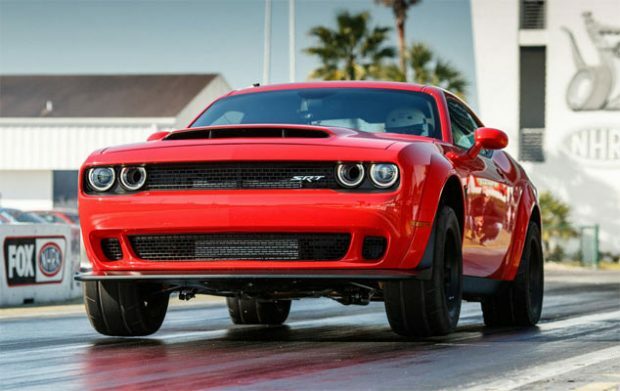 It’s really no surprise that the Dodge Challenger Demon has touched such a nerve with its popularity as it brings back some of the raw ethos associated with the original muscle car days. This along with help from the Fast and Furious franchise where the new Demon makes a star appearance.